Music licensing ensures that creators of musical works are paid for their work. When you purchase music you own the media on which the music is stored and not the actual music itself. You can play that purchased music for your own private or domestic purposes but not play to a crowd or arrange/reproduce the piece in any way without seeking a music license. Licensors collect fees on behalf of composers/authors and distribute them as royalties directly to those composers/authors (or estates of composers/authors). Copyright protects creative works and enables composers/authors to be paid for their work. Copyright is the means by which those who create and own works (eg. Music and lyrics) can control who makes use of each work and the circumstances in which it is used, to ensure that the integrity and value of the work is respected. Copyright protects the literary, dramatic, musical and artistic works, sound recordings, films, broadcasts and the typographical arrangement of a published edition (ie. How it looks on the page). Every musical piece comprises of two copyrighted works – the music itself (a musical work) and the lyrics (a literary work). How can you tell if a piece of music is still in copyright? There are different rules in different territories but in Europe copyright lasts for the life of the composer/author and then 70 years following their death. When there is more than one composer/author the 70 year term starts from the date of the last surviving composer/authors death. Even when the composer is no longer in copyright there may be a protected arranger prolonging the copyright on that particular title. Even if there is no apparent arranger or the composer/author is unknown there may be a separate copyright in the published edition. I’m not sure who controls the copyright for a title that I wish to seek a license for? Usually, with print rights the original copyright holders will have a sub-publisher who administrates their catalogue (often having more than one for each territory). If you check with your performing rights society you will be able to find out the original publisher of a title. For all other rights than print you should normally contact the original publisher. For print rights you will normally find an administrator of that original publisher’s catalogue on the Music Publishers Association website in your territory. You will also find catalogues that are distributed by other publishers. For example, our distribution is handled by Faber Music and so you will find Alfred under Faber Music. We administer our own print rights and so you should not contact Faber to seek a license for a title in one of our catalogues. You will also find Warner/Chappell under Faber Music. They do handle the administration rights to Warner/Chappell titles (in Europe alone) for licensing purposes. Therefore, do contact Faber Music for rights to Warner/Chappell titles in Europe. If you seek rights to Warner/Chappell titles outside of Europe then please contact Alfred (online form link). 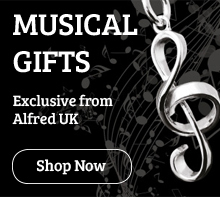 For a list of catalogues that we control then please click here: List of Catalogues that are under Alfred control. If you are still unsure then please email: permissions@alfreduk.com and we will inform you if we control any rights to that title. Can Alfred grant licenses Worldwide? In most cases we control many of our titles Worldwide. Please see our list of catalogues (link above) for territory control of each catalogue, or if you are still unsure email us at: permissions@alfreduk.com. Is there a minimum size/extract that I can use without seeking permission? No. Any size, however small, will need to be cleared with the original copyright holders or their relevant administrators. What is the process when I submit a request? Your request will be reviewed on a first-come-first-serve basis and screened internally before we send off to the relevant client or client’s representatives. We will then inform you of any delay caused or request further information from you, if necessary. Once we hear back from the relevant party with an approval/denial we will inform you of the outcome of your request and hopefully issue you with an official offer. Is there a timescale that I should set for myself before applying? You should always leave adequate time to submit your request well before your deadline. We may be experiencing a high volume of requests at the time and therefore your request will not be sent off to the relevant party until we work our way through to your request. Usually, we will have to wait before we can approve/deny your request for the relevant party to respond and this can cause some delay in responding to you. Will I definitely be granted permission to proceed eventually? No, not necessarily. We do approve the majority of requests that are submitted but some clients/editors do not approve requests for competition reasons or simply not wanting their music to be used in the requested way. Do I need to state the composer(s)/author(s) when making my request? Yes. Often title names alone are not enough to determine which title is being requested. Even supplying an artist who has performed the title is more helpful than just the title name. Do I need a license in order to photocopy a piece of music or lyrics alone? Yes. It is illegal to make copies of any musical work that is still copyright protected without a photocopy license. Is there any time that I can copy for free? There may be certain occasions when we will waive the fee (eg. Examination copies) but whatever the reason or quantity you will need to seek permission in order to make copies of a copyright title. Do I need a license just to change the instrumentation? Yes. Even if you do not plan on selling or performing the adapted piece (even for a not-for-profit performance) you will always need to seek permission to make any changes to a copyrighted title. To alter a copyrighted piece without permission is a breach of copyright. Are there minimum print runs that you will apply for commercial arrangements? We have a minimum fee to meet and so if your print run is too low to make up that minimum license fee then we will apply a minimum print run. A folio is another word for a songbook. There are two types of folios: Matching and Mixed. A Matching folio is a publication which matches exactly a CD album. It will contain exactly the same titles and uses the same artwork as the CD. A Mixed folio is a publication that is made up of an original compilation of titles. Does it matter if I do not know all the relevant details of my proposed publication before I submit my request? It matters in the sense that we cannot inform the client of the exact proposed plan for their piece of music but we also cannot calculate a fee without knowing the print run, the retail price and the amount of copyrighted titles there are to be in the publication. There are occasions where permission can be sought without knowing all of these details on the basis of an ‘invoicing upon publication’ request. Titles can be cleared with the knowledge that we will be informed and invoice (if permission is granted) the publisher once the relevant details are confirmed. Do I still have to pay a fee if I am only using the lyrics? Yes. All parts of a musical composition are copyright protected, even if you plan on distributing the proposed publication for free. Do you offer reduced rates for educational textbooks? In certain circumstances we may propose a reduced fee based on the evidence of the proposed publication being an educational publication. We will only be able to offer a reduced fee for educational publications at the agreement of our client. Are we allowed to omit certain lyrics for teaching purposes? Yes. You must submit the context page to show what you have changed before we can grant approval. Do I have to seek a license if my print use is for academic study? Yes. You must always apply for a license when using a copyrighted piece, depending on what your intended use is we may be able to waive the fee for academic uses. If I wish to print lyrics only in a magazine/newspaper do I still need to pay? Yes. You will always need to secure the adequate permission to use any part of a musical composition, even if your newspaper/magazine is to distributed for free. A public performance is one that occurs either in a public place or any place where people may gather (other than a small circle of a family/friends gathering). A public performance is also one that is transmitted to the public; for example, radio or television broadcasts, music-on-hold, and by the internet. Why should I pay for a license to use music? When you use other people’s property whether that be music, poems, drawings or any other artistic creation you should always seek permission and pay for this right as someone has created that copyrighted piece and put their time and effort into creating that piece. It legally belongs to the copyright holder who created the piece and the publisher who markets it. Why do I not receive royalties for an arrangement that I have created of a copyrighted piece? Certain territories deal differently with regards to arranger fees for arrangements. 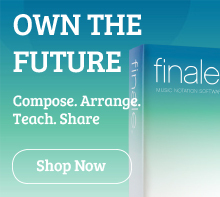 The usual rule is that an arranger will not be able to receive any royalties as the copyright to that title will always stay with the original copyright holder and no transfer will occur when an arrangement is made. The original composer(s)/author(s) will always receive royalties for arrangements as they originally created that piece of music. If I have purchased the sheet music why do I then need to seek permission to perform this piece in public? You are granted the right to perform the music once you have made your purchase but not to perform this piece in public. You must always notify the original copyright holders or your performing rights society of your performance.